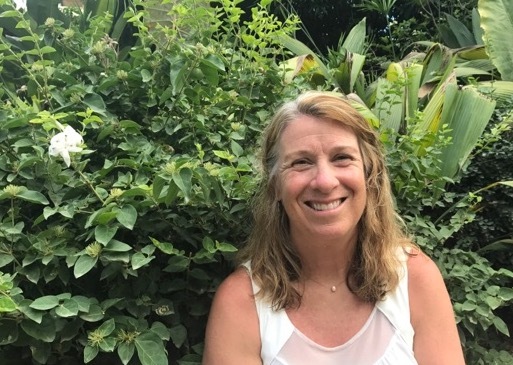 Janis is a regular participant in Joanna’s annual winter weekend retreats in Mazama (three years running) but in 2017 she and her husband Randy traveled to Costa Rica for their first week-long retreat at Blue Osa. Here is her testimonial following her retreat. I leave this retreat in a much better place than I was when I first arrived in Costa Rica. I feel relaxed, rejuvenated, and more fit. I also feel several pounds lighter. I am not a morning person normally, but I found it was not difficult at all to arise and enjoy the sunrises, which are spectacular. The waves provide a rhythmic background to the meditation, and I always felt inspired and ready for the day after that peaceful time in the early hours of the day. The yoga practices were incredible. Joanna does a fantastic job of creating a guilt free environment, with a balance of professionalism and light heartedness. I felt free to partake in as much yoga as I desired, or forego a session to join another adventure, or just spend time on taking care of myself. She is a very organized, creative, and professional instructor and I found all the sessions extremely beneficial. I can feel the benefits of this week long retreat of yoga and wellness-focused living…I want to maintain as much of this lifestyle as possible in my busy life. I learned from one of her workshops how I can incorporate yoga into my schedule daily, without having to change my entire daily life. I met many lovely people….there was much laughter. The sounds are AMAZING!!!!! The monkeys in the am and pm, the pulsing shrill of the cicadas, the routine squawking of the passing Scarlett Macaus and local Parrots….all create a delicious auditory experience. The swimming was wonderful and the staff at Blue Osa were so warm and friendly.